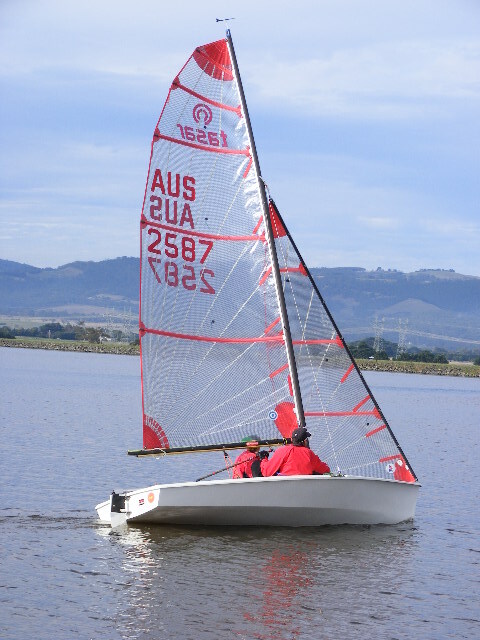 The June Queens Birthday long weekend sees many dedicated sailors head for the warm waters of the Latrobe Valley Yacht Club’s Sauna Sail Regatta. This year we had light winds and sun and we got in six races. Over 170 boats attended from Optimists to Olympic Tornados. In that Tasar class there were seven boats and we sailed our new Tasar “Speed Racer”. The first race saw us almost miss the start and some gear problem then saw us dead last by the wing mark. Once we sorted the boat out we climbed back to fourth. We sorted the rig out overnight and made some changes to then string together a series of seconds and a win in the final heat. Martin and Sue Sly sailed brillantly to win overall. The Tasar’s dominated division two placing first, second, third and fifth in a fleet of 30 boats from Flying Dutchman to Lasers.